(VIDEO) His Majesty King Willem Alexander of the Netherlands Celebrates the 100th Anniversary of the Amsterdam Schiphol Airport. On Monday, September 19, 2016, His Majesty King Willem Alexander of the Netherlands celebrated the 100th anniversary of the Amsterdam Schiphol Airport in southwest Amsterdam. One hundred years of the Schiphol [Airport]. That’s the story of a caterpillar becoming a butterfly. In September 1916 began with a few wooden loodsjes in the swampy pasture farmer Knibbe. And today we are here in the heart of one of the best major airports in Europe, what I say in the world. Just look around you. Hundred year. That sounds very long. But if we connect with our own lives, then is it really that bad. Of those hundred years, I have almost a third experienced consciously. I have a Schiphol since 1989. Probably longer than most of U. As a pilot I have known for nearly thirty years the airport. I’m still before the GPS. I know Schiphol during the day, with tens of thousands of passengers and businesses. But I also know what it looks like at night when I was a pilot on one of the last flights out of Schengen long way to the exit discard Plaza. At night you can see a different airport. The lighting is at 100 percent. It seems empty. But everywhere, people are engaged in supply, maintenance, cleaning and installation work. I have great respect for all those people out there 24 hours a day to ensure that everything runs smoothly. In the time that I started flying, Schiphol had no quarter of the current number of passengers. And in many other respects, it did not seem at Schiphol today. The large tower, Concourse 3, Schiphol Plaza, the new runway, they were not there yet. The flight preparations began cranking out reams of paper. I think: if the Schiphol then would be sunk into the waves, and would be dug up again after a hundred years by archaeologists, they would probably think they have a paper who also possessed aircraft had uncovered. A world of difference with the digital airport today! For several weeks, all printers permanently deleted at the crew center and mailboxes are soon past. After the flight preparation towards the box, you went first to the weather along. As a meteorologist explained to you how it would be back on the route and at the destination. That you can not imagine now. One hundred years Schiphol is a milestone for the Netherlands. Schiphol is all of us. It is very special and valuable what is built here. Schiphol, KLM and other airlines connect us to the world. More than 320 destinations are directly accessible. That gives us all a little extra freedom. Schiphol gives us wings. A century Schiphol is also a century successful public-private partnership. We know the economic importance of Schiphol. 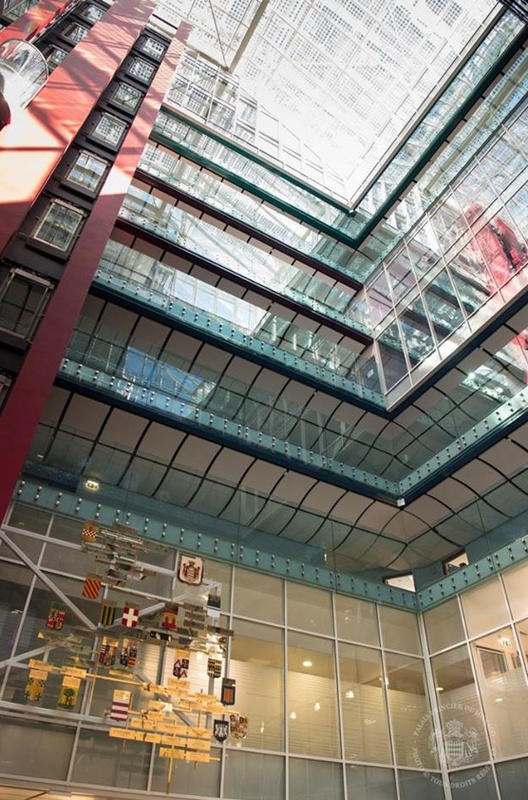 One in seven jobs in the Netherlands is due to a foreign company operating here. Companies like to settle here. This is partly due to our good accessibility. We know only too well that this is not a quiet property. The competition is not standing still. Some other hubs grow very fast. That requires vigilance, because if an airport loses its hub function that is irreversible. We fly along as it were, on the wings of the transfer passengers. When that transfer passengers dropped out, underpins the network disappears. One hundred years Schiphol is therefore not only lead to nostalgic look back but also to look ahead. In the new A-Pier, the new Terminal 2 and the other innovations being worked hard. Remains a good contact with the environment essential. Because it must remain viable and healthy for the local residents. In the early years had that social dialogue still somewhat primitive character. The first users of the airport were sometimes from the Ringdijk pelted with frozen cabbage stalks. A kind of primitive version of the polder model. But those times are over and today they come to see from abroad how the Netherlands addressing the airport development with the environment. Here at the airport are very common interests and experiences together. Interests of travelers and local residents. Hundreds of different companies and tens of thousands of employees. Environmental interests and security interests. International, national, regional and local interests. Beliefs sometimes compete with each other and sometimes disparate. The strength of Schiphol lies perhaps in the ability again and again to build bridges between diverse interests and to think together solutions that make progress possible. It’s that ability Schiphol which could develop from tubers field to world-class airport. That ability we will continue to desperately need in the coming years, Schiphol now stands on the threshold of its second centennial. I hope it still be able to make a good deal very closely with. Flying remains one of the most beautiful experiences, as a passenger, a guest from the airport and as a guest kite at our blue pride! (VIDEO) His Majesty King Felipe VI of Spain Gives a Speech at the United Nations in New York City. On Monday, September 19, 2016, His Majesty King Felipe VI of Spain gave a speech at the United Nations in New York City, New York. 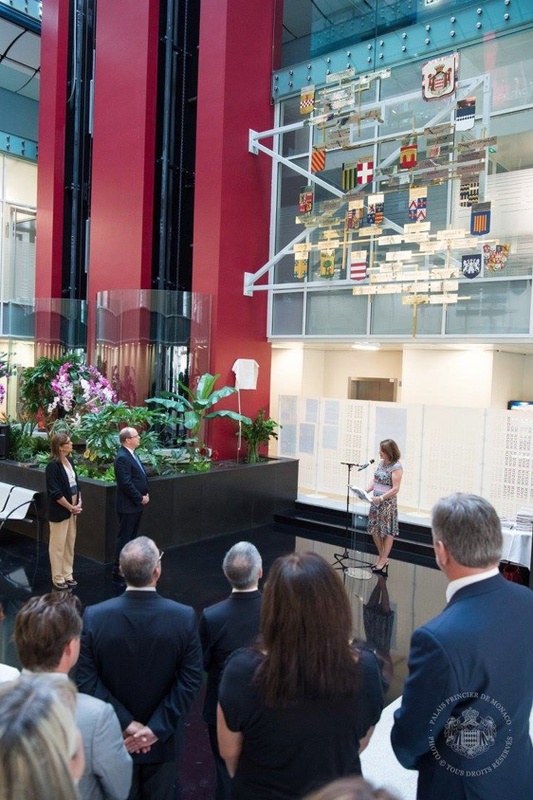 (VIDEO) His Serene Highness Prince Albert II of Monaco Unveils a New Plaque. On the morning of Monday, September 19, 2016, His Serene Highness Prince Albert II of Monaco accompanied by Her Royal Highness Princess Caroline of Hanover unveiled the updated Princely Family of Monaco genealogical (i.e. a family tree) plaque at the Lycée Technique et Hôtelier de Monaco in Monte-Carlo. The updated plaque included HSH Hereditary Prince Jacques and HSH Princess Gabriella of Monaco with their Coat of Arms. 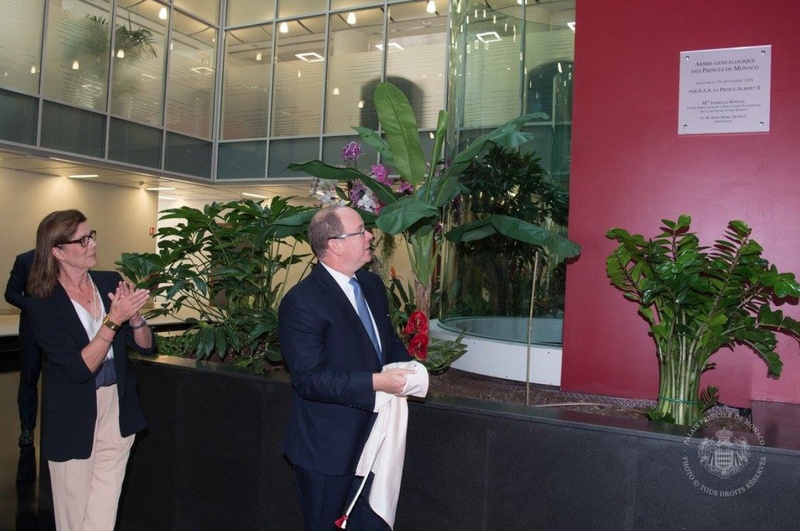 His Serene Highness Prince Albert II of Monaco Receives Credentials. 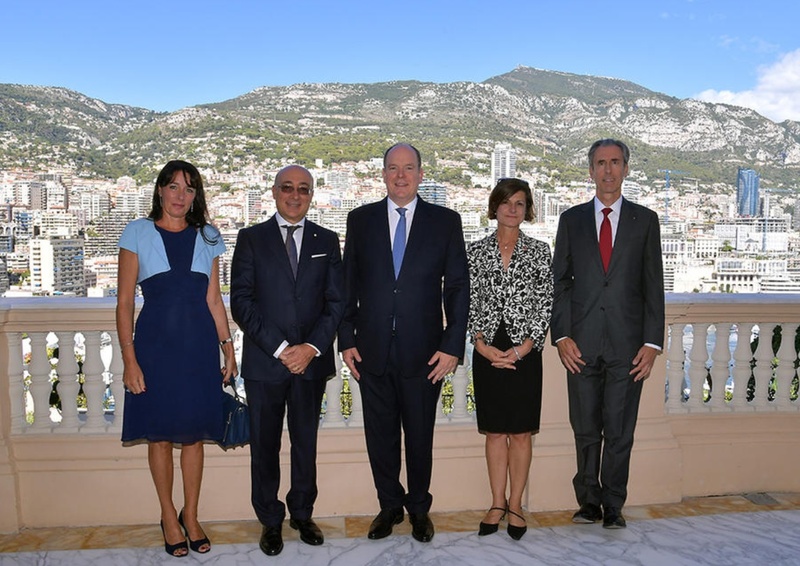 On Monday, September 19, 2016, His Serene Highness Prince Albert II of Monaco received credentials from the Ambassador of Italy, Mr. Cristiano Gallo, and the Ambassador of France, Ms. Marine de Carne De Trécesson at the Palais Princier in Monaco.